Pollutev7 has taken over three years to develop and represents a major upgrade in the design and performance of the very popular POLLUTE program. The new Windows Interface makes the creation, editing, execution, printing and displaying of models very easy and flexible. 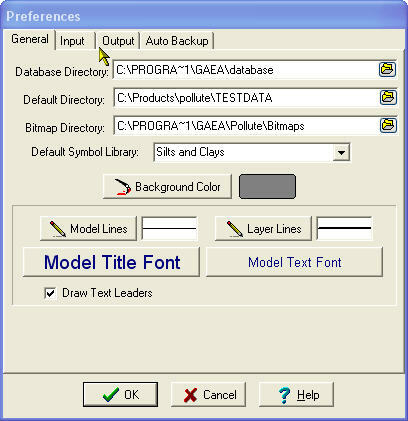 Models can be created from scratch, using the program Wizard or by selecting one of the many pre-created models. 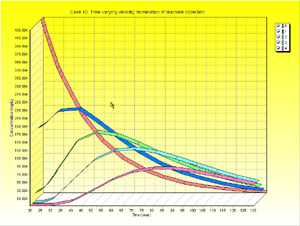 The POLLUTEv7 program provides fast, accurate, and comprehensive contaminant migration analysis capabilities. This program implements a one and a half dimensional solution to the advection-dispersion equation. Unlike finite element and finite difference formulations, POLLUTEv7 does not require a time-marching procedure, and thus involves relatively little computational effort while also avoiding the numerical problems of alternate approaches. With more then fifteen years utilization in industry, POLLUTEv7 is a well tested contaminant migration analysis program which is widely used in landfill design and remediation. Landfill designs that can be considered range from simple systems on a natural clayey aquitard to composite liners, multiple barriers and multiple aquifers. The new Windows version of the POLLUTE program makes the creation, editing, execution, printing and displaying of models very easy and flexible. Models can be created from scratch, using the program Wizard or by selecting one of the many pre-created models. Below are a list of the features of the program divided into project, model, and output features. POLLUTEv7 is based upon the project concept for data storage, where the user has numerous projects and within each project there are numerous models. Using this method, a Microsoft Access 2000 database is used to store each project. Each project is stored in a separate directory, which can be on the same computer or spread across a network. A master database is used to keep track of projects and their locations. This master project database is also used to store data (such as symbol libraries) that is common to all projects. Models are used to represent the subsurface lithology, containment systems, and contaminant source to be studied. These models can be used to study the effects of landfills, buried waste, spills, lagoons, barrier systems, etc. Each study area should be grouped into one or more projects. A project is used to store one or more models in a study area. 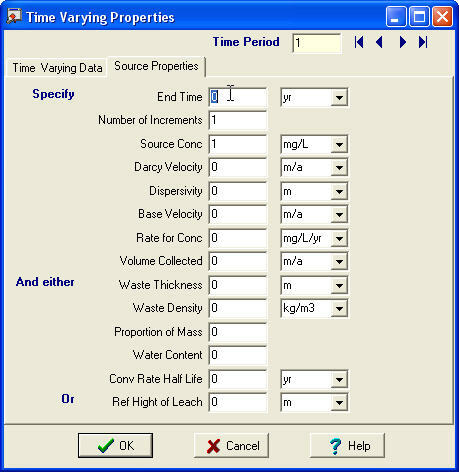 After a model has been created it can be run to calculate the concentrations of a contaminant at specified depths and times. In addition to the calculated results of the model, imported output data can also be displayed on the concentration vs depth and concentration vs time graphs. This imported data can be from other models, experimental results, or theoretical results. The imported data can be extracted from a file, other models in the project, or created and entered directly. After the imported data has been entered in can be edited or deleted.